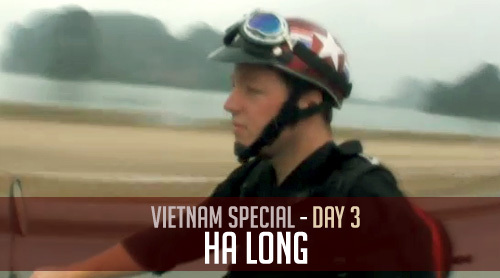 Sam and William make it to the beautiful Ha Long Bay in Vietnam. Their hotel is nice, but it's got some not-so-great leftovers from other guests. Nice & Choco Pies... gotta love the treats. Thanks for sharing the sites. ITS NOW time for you to be in Iceland! Avatar is amazing! Can't wait for the next one, hope y'all are doing swell in Iceland! You always manage to make me laugh with your videos. You have such a great sense of humor. Just a few more weeks until your home!! !